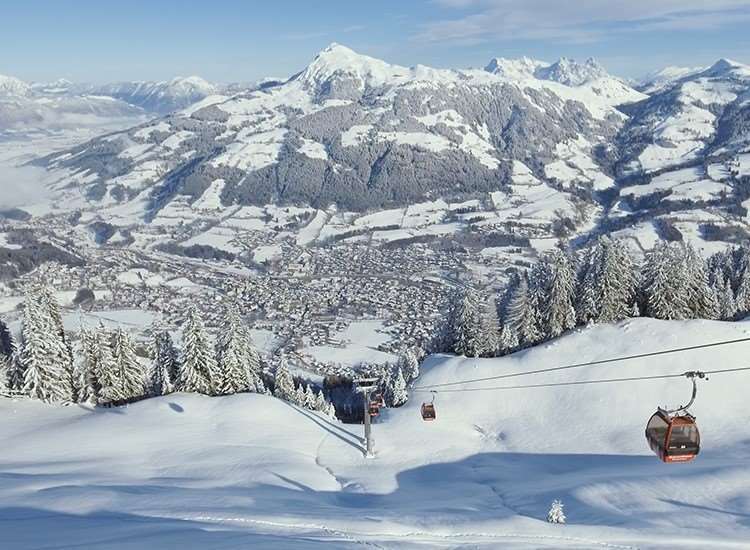 One of the best four star hotels situated in the heart of Kitzbuhel, 4 minutes walk away from the Hahnenkamm gondola station and close to the town's numerous bar, restaurants and shops for those requiring some retails therapy. The delightful family run hotel, owned by the welcoming Mayr-Reisch family who have been welcoming guests for over one hundred years, will ensure your stay will be memorable one. The large reception leads through to the cosy lounge and bar, which are the perfect place to unwind. 40 bedrooms. Elegantly furnished twins have bath or shower, cable TV, phone, radio, hairdryer; safe and minibar. Larger superior rooms also have lounge area. 4-course dinner with 2 choices of main dish plus salad buffet and occasional cheese and dessert buffets.